Brasserie de Silly has been the sponsor of several festivals for a number of years. 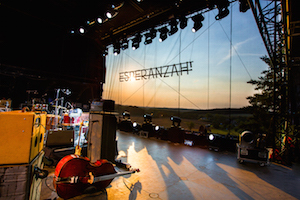 Esperanzah is an eclectic world music and arts festival held at Floreffe Abbey. Since its birth in 2002, Esperanzah has been striving to increase awareness that “another world is possible”. The event promotes art as a propelling force for change: music, cinema, street art… all of these forms of expression are used by artists who want change, decry injustice or can give a first-person account of their own unconventional journeys. And every year, during the first weekend of August, over 35,000 festivalgoers enjoy the Bio Silly Pils. LaSemo is an annual music festival that attracts over 15,000 visitors to Edingen Park, a truly exceptional location, during the second weekend in July. LaSemo is a byword for variety, with 150 concerts and performances, around 30 associations, brass bands and comedy shows. There are also fair trade stalls and organic or sustainably run restaurants, bringing one of the core values of LaSemo to life. This event, launched in 2008, pushes the barriers of sustainability. In 2011 the festival scooped the Environment and Energy Award for Belgium. And every year the Bio Silly Pils flows out of the taps. 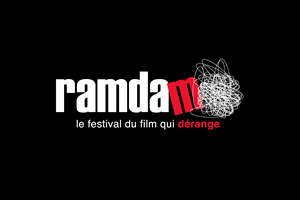 This festival of ‘disturbing’ cinema, first staged in 2011, is held each year in the Imagix cinema in Doornik (Tournai). In 2015 it attracted 13,000 visitors. ‘Disturbing’ is a category that is hard to pin down: these movies fall outside the well-known categories of cinema, pose more questions than they answer, engender lively discussion, move audiences, make them think, disturb or shock, take viewers out their comfort zone, have a second life away from the screen, are avidly talked, and leave no-one untouched. The festival bars serve a range of Silly beers. The Festival of Freedom focuses on the core values of democracy: physical and ideological freedom, religious and moral freedom. The festival’s varied programme offers concerts, theatre, film, debates, exhibitions and performance. The Festival of Freedom is held during October in both the Théâtre National and the KVS (Koninklijke Vlaamse Schouwburg) in Brussels. Since 2008 this free festival has been staged in the Parc de la Jeunesse/Jeugdpark in Jette. Jam in Jette is a world music festival with bands from across the world, playing every style of music known to man against a backdrop of artistic activity (open stages, creative workshops…) for all ages. This festival aims to promote sustainable economic, ecological and social development. The next edition kicks off on 14th May 2016. 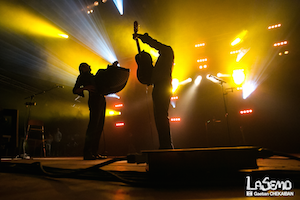 The brewery has also formed partnerships with the Jyva’Zik Festival (Parc à Mitrailles, Court-Saint-Etienne) and Verdur rock (Citadel of Namur). In and around Silly they are involved with: la Nuit de la Musique, la Ducasse du Vieux Moulin, Plantation du Mai, Fancy Fair, Sites en Ligne, Festival Théâtre au Vert, the Musical Spring, the Tractor Pulling event, Ducasse à ‘l Viole (Gibecq) and the Stage on Rails festival (Ghislenghien).